Good for learning vocabulary that has the ´all´ sound. 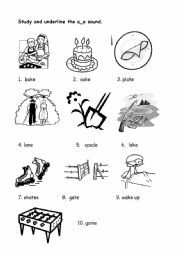 This worksheet is to used as a follow up to the other worksheet a_e story to consolidate the vocabulary. 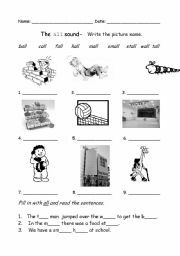 This power point can be used as an alternative way (to the usual worksheets) to consolidate the use of possessive pronouns in sentences. A fun way to teach/consolidate pronouns. This powerpoint has sound effects. This powerpoint is an alternative way (to worksheets) to consolidate the use of pronouns in sentences. A fun way to teach/consolidate pronouns. AS the powerpoint is al arge file I had to divide into 2 parts. This the 2nd part of the prepositions powerpoint. Very motivatingfor the kids! In this presentation the children will read an interesting story and fill in with adverbs.